Whether you are a father who is being denied the right to see your child or a single mother who is struggling to raise a child with little or no support from the child’s biological father, a paternity action may be needed to rectify either of these situations. Schedule a consultation with our firm to learn more. In Tennessee, the mother of a child is automatically recognized as the child’s legal parent and custodian. However, if the parents of a child are not married, the biological father must take affirmative legal action to establish his right to be a parent. That action is taken by filing petitions to establish paternity and a co-parenting schedule. In Knox County, that may require two separate petitions. Once paternity is established (either by agreement of the parties or by DNA testing), the parties may either agree to a co-parenting schedule or ask the court to set a schedule. Child support issues will also be determined in these proceedings. Without a court order, you are at the mercy of the birth mother, who will be able to decide when, where and under what conditions you are able to see your child. It is advisable to assert your legal rights at the beginning so that you may both begin to learn how to parent together as a team. In Tennessee, you are automatically recognized as the child’s legal parent and custodian upon the child’s birth. However, this also means that until you take legal action, you are solely responsible for supporting the child financially. If the child’s biological father is not making voluntary child support payments, you must file a petition to establish paternity and set child support to make him legally obligated to do so. His paternity must be established by agreement or by DNA testing, if necessary. Once paternity is established, the court will require proof of income from both parties so that the correct amount of child support can be determined. Be advised that when you file a paternity action, the father is entitled to file a counter-petition asking the court to establish a co-parenting schedule. The state of Tennessee recognizes that a child is entitled to have the financial support as well as the care and emotional support of both parents. It is advisable that you work together with the father whenever possible in order to give the child the benefit of all that both of you have to offer. If the parties cannot agree on a co-parenting schedule, many times mediation is either required or favored by our local juvenile courts. At mediation, the parties are assisted by a neutral mediator in trying to agree on a parenting plan. If no agreement is reached, a hearing will be set. 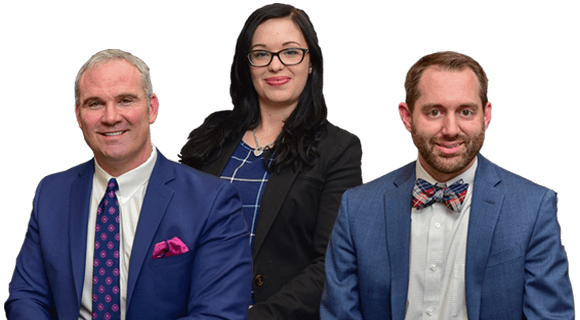 call 865-566-0125 or send us an email to schedule a free initial telephone consultation with a family law attorney at our firm, McKellar & Easter, Attorneys at Law. We have the experience you can trust and the skill you need to resolve any family law matter.